Lemons don’t grow here in Calgary but, happily for me, as soon as the first lemons of the season are picked in late January in California, bags of them start flowing into our local grocery stores. To me, lemons are like a taste of sunshine, and no more so than when I get my hands on that first fresh bag of lemons in mid-winter, as the bracing winds are still swirling the snow around—it’s a promise of the coming of spring. Isn’t it something that we have such easy access to something as amazing as a fresh lemon? 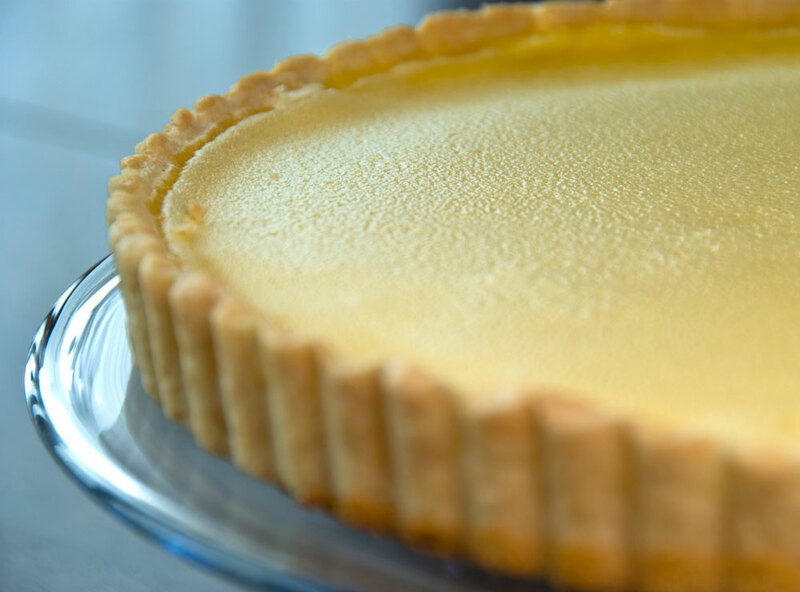 Making and enjoying a homemade Lemon Cream Tart is the perfect way to brighten up any day. Because the pastry loses some of it’s crispness after a day, this tart is best on the day you make it (not that that’s stopped anyone around here from devouring any meager leftovers). Sweet, lemony and creamy, this tart is definitely a crowd-pleaser. A special thanks to the Danbo Brothers who enthusiastically zested lemons for this tart. Technically, it’s still winter, but more and more are the days starting to feel spring-like. This is the time of year I lose my winter penchant for hot drinks and hardy desserts and start to crave something lighter, like the fresh cherries I put up late last summer. It’s the perfect time to whip up a Cherry Eton Mess, a delicious, light, airy dessert reminiscent of the taste of summer. Cherry Mess is made by creating alternating layers of cherry compote, freshly whipped cream mixed with chunks of homemade meringue, and toasted sliced almonds. Prepare to swoon: one spoon of this beautiful mess is transcendent. 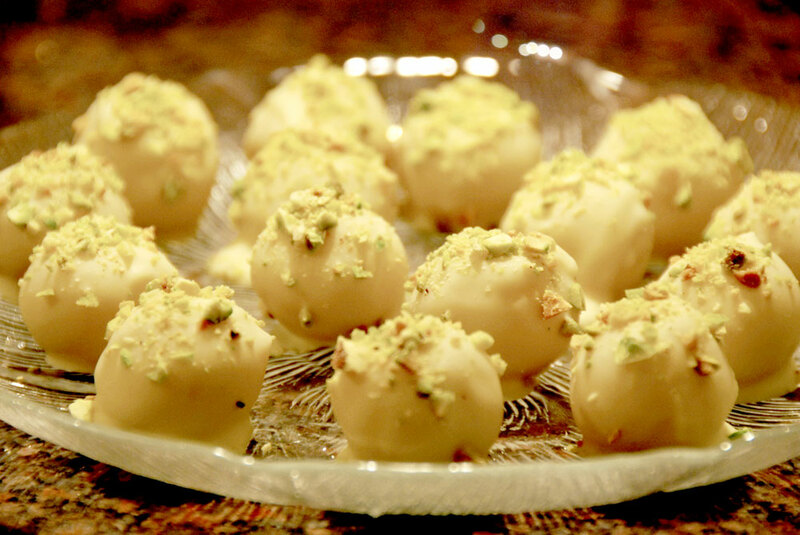 My homemade marzipan balls with orange blossom water and candied orange peel, dipped in white chocolate and garnished with chopped pistachios. Remember all those women on the Titanic who waved off the dessert cart. Chocolate and marzipan pair beautifully together. And nothing could be easier than rolling marzipan balls and dipping them into the chocolate of your choice. Make some of these, throw a few into a festive bag along with some Homemade Chocolate Truffles (see my previous post) and you’ve got a great gift. High quality chocolate truffles are a chocolate lover’s dream come true. Made from only a few simple but perfect ingredients—good chocolate, heavy cream and a bit of butter—truffles impart their pure chocolatey goodness in one perfect, creamy, heavenly bite. The other great thing about truffles, that you may not know, is that they are fun and easy to make—albeit somewhat of a sweet chocolatey mess (which, of course, is the kind of problem one wishes to encounter more of in life). 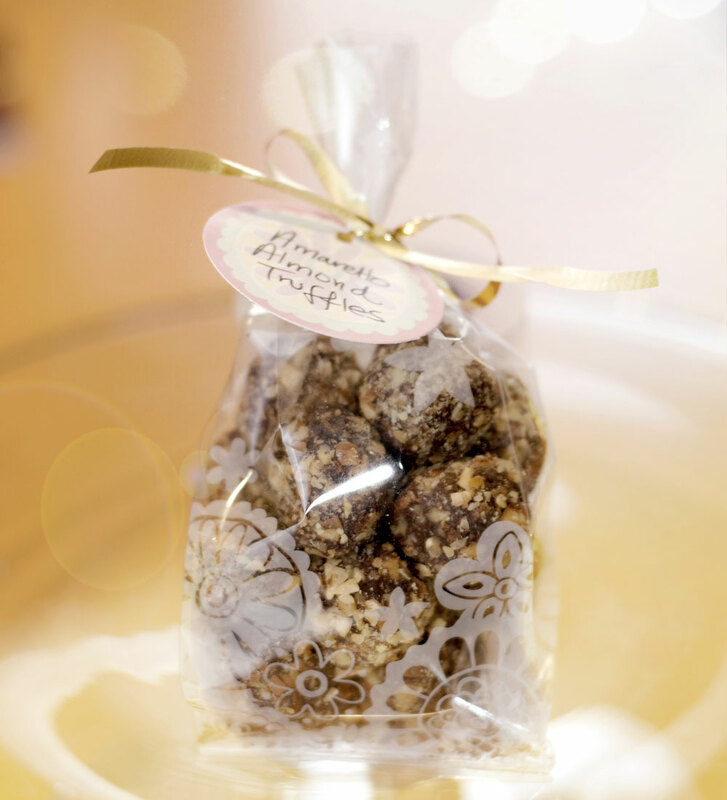 If you can bear to give any away, these Dark Chocolate Truffles make a lovely gift. “Cooking is at once child’s play and adult joy. If you’re as crazy about anything with almond paste in it as I am, then this Almond Cake is definitely the cake for you. This dense, extremely moist cake is to-die-for delicious and it’s super easy to make. I’ve baked this cake many times and it has turned out perfectly every time. While I’m normally not attracted to cakes, especially frosted cakes, I’m nuts about this cake—the first morsel always makes me swoon. Cherry season is nearly at an end. But just before the cherries completely disappear from the markets, I like to put some up so that we can enjoy a bit of the summer sunshine embodied in those sweet fleshy red orbs come winter. My favourite way to preserve cherries is to either candy them or make a cherry compote. Candied cherries have a higher sugar content and have a more concentrated, candied flavour, whereas cherry compote uses less sugar and has more of a fresh fruit flavour. Both are delicious, both are super easy to make (see my post on Cherry Vanilla Ice Cream for candied cherries), and both freeze incredibly well. If you love cherries, I recommend checking this recipe out and putting up some cherries—it’s such a treat to have in the middle of a cold winter. Since everyone who tastes my cherry compote wants the recipe, I thought I’d post it. If you love cherries and still have some available where you live, do try making this—you’ll be glad you did. If you’ve already missed the fresh cherries for this season, you can make this compote any time of the year using frozen whole cherries from the supermarket. Ah…. summertime. I love it! And this summer has been an unusually gorgeous one, exactly my idea of a perfect summer: an endless string of warm, blue sky days accentuated by a few hot days and the occasional dramatic thunderstorm here and there (bringing us much needed moisture and some spectacular lightning shows). We don’t have much in the way of humidity here in Calgary, so the dry heat is very pleasant. For me, a perfect treat on these wonderfully languid, hot August days is my summer berry fruit salad made of freshly picked seasonal berries. For weeks now, countless flats of raspberries, blackberries, strawberries, cherries and blueberries have been flying out of the farmers markets and finding their way into kitchens all over Calgary. I’m in heaven. Huge aromatic bouquets of fresh, locally grown basil are now available at our farmers market. I am certain that basil was heavenly sent (ha, ha… pun intended) for our pure pleasure. I’m under its magic spell the moment I lay it in my shopping bag at the farmers market, where it instantly releases its intoxicating, sweet, herbaceous aroma. I would follow it anywhere. Happily, it follows me into our kitchen, where I use it in everything I can think of: tomato and basil bruschetta, Caprese salad, basil butter on freshly baked bread, pasta sauces, pizza, Thai basil chicken, and my favourite way to enjoy it: basil pesto on fresh homemade spinach fettuccine.